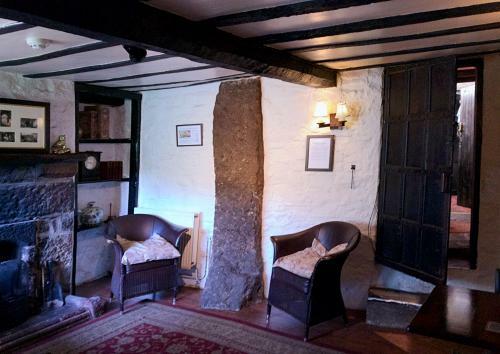 Visit our beautiful Heritage England Grade II Star listed former 12th Century Benedictine monastery now privately owned Inn, Hotel and AA Rosette Restaurant constructed originally around the famous prehistoric South Zeal Menhir Standing Stone. The former home of the pirate and famous Elizabethan Devon mariner Captain John Oxenham (1530-1580). The oldest of CAMRA's Heritage Inns across all of Devon and Cornwall. Set in 5 acres of beautiful grounds with stunning Dartmoor views in The Dartmoor National Park, yet only a 5 mins hop off the A30 to Cornwall. Packed with history and things to see, complemented with our fabulous levels of service. See and touch the incredible South Zeal Menhir Standing Stone, carved one thousand years before Stonehenge. Opening times and serving times Bar, hotel and grounds open daily from 11AM to 11PM. 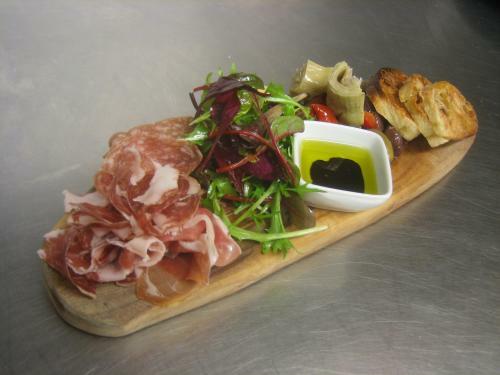 Food is served from 12 mid day until 2.30PM then from 6PM until 9PM. Devon Cream Teas and High Teas available from mid day until 5.30PM. Superb traditional plated Sunday Roasts plus other options are served every Sunday from 12 mid day until 3.30PM . 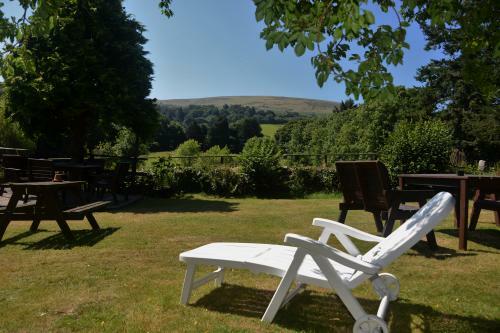 We have garden seating for 150 people with stunning Dartmoor views. Inside we have 3 Log fires and 5 separate eating and drinking areas. Children and dogs ! We are children family friendly. Dogs on leads are welcomed in our bars and gardens. We have FREE High Speed WIFI available throughout the building. 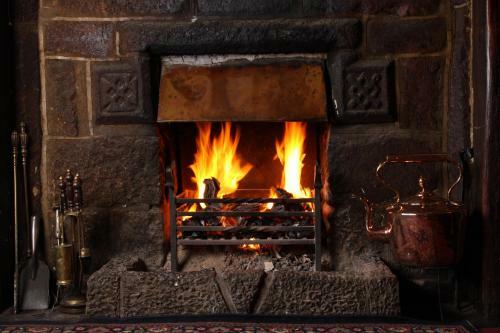 Our Bar and restaurant areas have original log fires, flagstone floors oak beams . Our bar has been open now for 541 years. 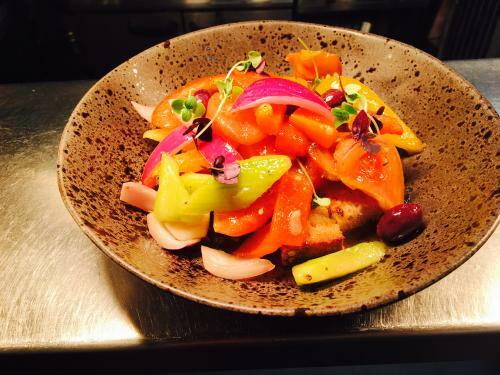 Pop in for a bite to eat, a drink or stay overnight in our lovely AA 4 Star hotel rooms. You can choose to eat in our 1477 Bar, Standing Stone Snug, The Oak Dining Room, The AA Rosette Monastery Restaurant , our garden patio or gardens with stunning views of Dartmoor and seating for 150 people. Free parking at the front of the hotel, in the village. The free village free car park is 180 metres away. Luxury four poster, double and twin hotel rooms, many with stunning Dartmoor views are available see above and below for best rates and offers by booking direct with us. We have a full function room and can cater for your wedding or events. Wedding services can be arranged in St Marys Church adjacent to our hotel or St Andrews Church just 1 mile away down a leafy lane ! Lovely lunches, afternoon teas and evening dinners either telephone us on 01837840244 or click here to book a table online . We are the ideal venue for get togethers, parties and receptions. 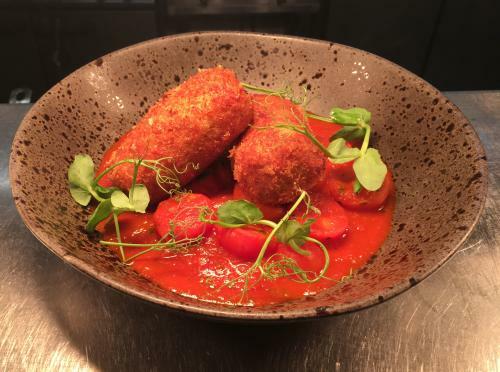 We serve superb bar food and AA Rosette Restaurant food in our 1477 Bar, ,Monastery Restaurant, Standing Stone Snug Bar or the lovely Oak Dining Function Room. Choose from over 100 wines, 100 whiskies or 50 gins and a great range of spirits, Devon real ales and ciders. We cater for groups, parties, receptions and events and have marquee available for up to 200 people. We are child friendly. Well behaved dogs are welcomed on leads in our bar and gardens but dogs are not permitted in the dining areas, upstairs or in the hotel rooms. 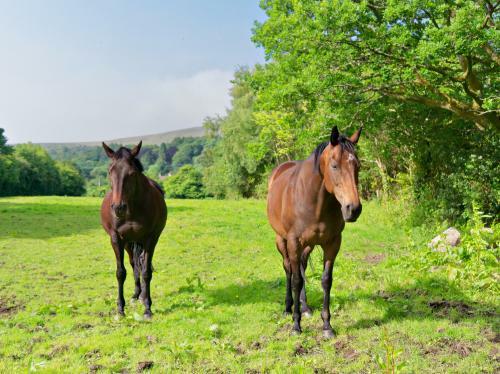 Set in the heart of the beautiful Dartmoor medieval village of South Zeal. A fabulous village stores, cafe and Post Office a few metres away. We have stunning views of The Dartmoor National Park yet only 5 minutes off the A30 to Cornwall and only 20 minutes from Exeter. Take a walk around each of The Oxenham Arms rooms, adorned with historical memoirs of the many owners and visitors here over the centuries including the Elizabethan pirate Captain John Oxenham who was born here, Sir Francis Drake, Admiral Lord Nelson, Charles Dickens and members of The Royal Family and celebrities over the centuries who have all stayed here and had a drink in our bar. 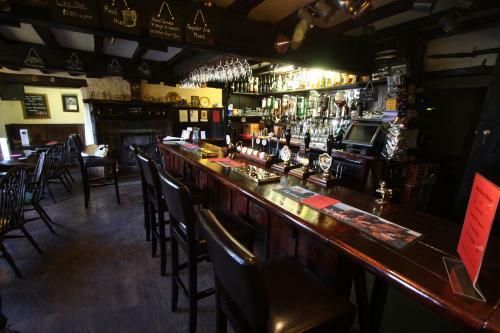 Read the numerous books that have been written in and about The Oxenham Arms. These fabulous rooms all in the main monastery building were the former Benedictine monastery rooms and manor house rooms of the Earls of Oxenham Family and today retain their grandeur and ambience along with every comfort to ensure your stay with us is one to remember forever. Gift Vouchers may be purchased over the telephone and we provide a Gift Voucher postal service. Vouchers can cover Accomodation, Food and/or Drinks or all three. National Trust properties such as Castle Drogo, Finch Foundry and Lydford Gorge are nearby , 12 - 15 minutes from Chagford, Moretonhampstead or Okehampton. 20 mins from Exeter .We are only 40 minutes drive from the Devon or Cornwall coastline and beaches. With fine views of Dartmoor, The Belstone Room has a large Superking English Oak Canopy Four Poster bed and comfy pocket sprung mattress. Free Breakfast, WIFI and Car Parking. En suite modern bathroom and mood lighting. Other views to Dartmoor farms. Hand made fabrics and period furniture. Fluffy towels and Egyptian cotton luxury bedding. Luxury vanity products and a well stocked hospitality tray. 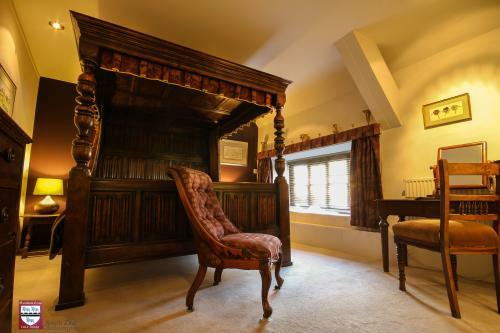 A massive English Oak Canopy Oak four poster forms the centrepiece of Lydford Room. The room has views over the village. Free Breakfast, WIFI and Car Parking. Period furniture and antiques adorn the room. Hand made hand sewn fabrics and a luxury pocket sprung mattress. Modern en suite bathroom/shower with luxury vanity products. Egyptian cotton bedding and fluffy towels plus hospitality tray.